New Student Arrival Day is an exciting and emotional time for everyone involved. From the uniform fair, moving into a new boarding house, school presentations to our new parent reception, this Saturday at the beginning of the school year is an exciting and unique time. We were pleased to have the chance to capture some of the emotion and energy from this day, despite the weather! "From the moment I stepped into the house, the house captain and everyone in the house was so welcoming, and so supportive. They helped me with everything and I fount it so easy to adapt into this new culture and environment." 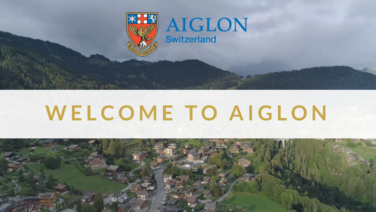 We hope you enjoy the film whether you are brand new to Aiglon, graduated many years ago or are considering an education at Aiglon yourself. We hope this short video will give you a taste of who we are, and what you can expect after stepping through our doors here on the mountain. It was great to work once more with the talented team from 5 Elements Production who helped bring this day to life!